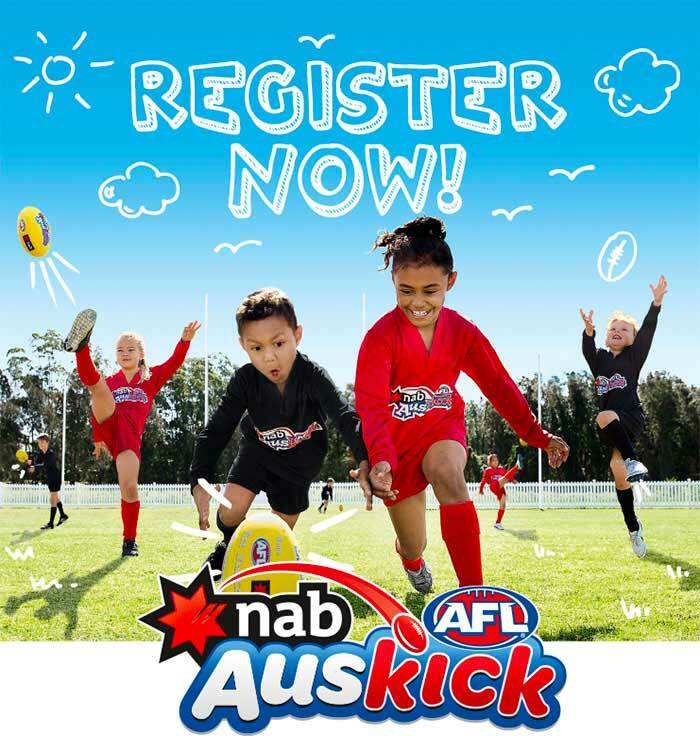 How to register for Auskick in 2019. Our sessions will again run on a Saturday morning from 9am. We kick off with our first session on Saturday 27 April and will run until the Saturday 3 August. We’ll again have assistance from RJFC coaches and players however we really encourage everyone to get involved in the stations each week. This year we will be seeking to involve as many parents as possible and will be making training available to interested coaches. If you are interested please drop us an email. This season we’re pleased to announce Nick Somes and Peter Tuckwell will be running our Auskick season. Both have experience at junior coaching and participating as parents at Auskick, so we’re looking forward to a ripper debut season. Infact, as we speak we are working with U8 and U9 coaches with a view to running sessions for these older kids as part of Auskick to further support RJFC footballers….more on this exciting initiative in later updates. Alright, enough for this note. If any of the above creates confusion, please just let us know by sending any questions to our reply email ( richmondauskick@gmail.com ) and we’ll work through it. Here’s to a terrific year at both Auskick and RJFC.